and it's getting its BLING ON! 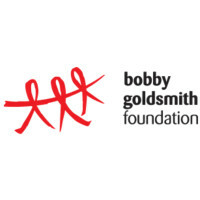 Join us for the 2019 Bobby Goldsmith Auction - 'THE GOLDEN HAMMER', on Thursday August 8th from 6.30pm at the iconic Australian Museum in Darlinghurst. Come along and help raise funds for Bobby Goldsmith Foundation. Dress to impress, be it golden, bling or cocktail glamour - its a night out for you to shine and support a fantastic cause.